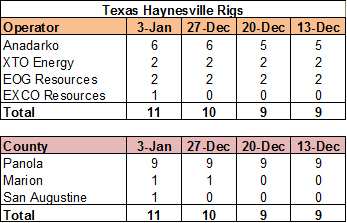 With the holidays, I've been derelict in keeping the Haynesville rig count current, so here is the catch-up report... Over the past two weeks, the Haynesville Shale rig count was up one to 28. 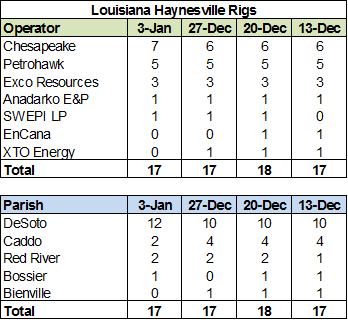 In Louisiana, the count was down one to 17 (Chesapeake up one, XTO and Encana both down one) while Texas was up two to 11 (Anadarko and EXCO both up one). The news in Texas is that Anadarko is now running a Haynesville rig in Marion County. By my count (and the TRRC's), this is the first Haynesville well in Marion Co. Let's see what happens there. 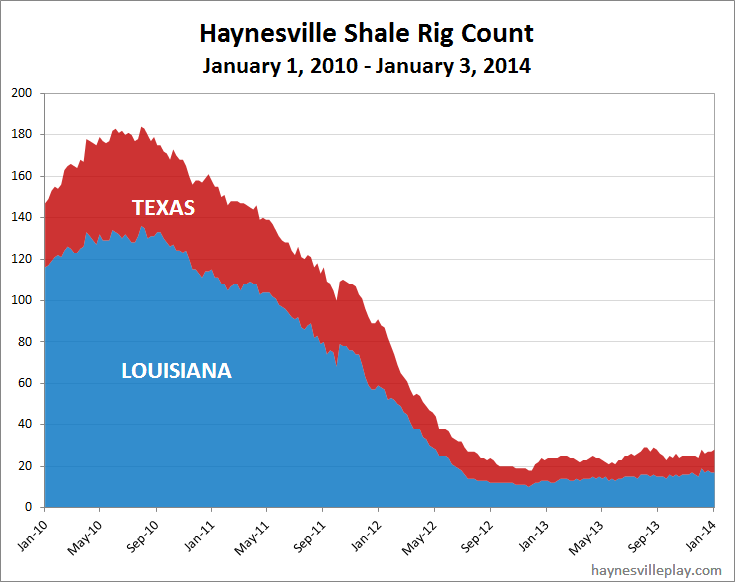 EXCO's rig is its first in Texas since February 2012 when it dropped from six to zero in a period of seven weeks.